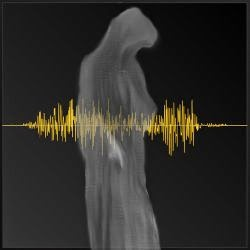 Ghost Investigation- going to a known haunted place and recording data (video, photos, audio, temperatures), notes, interviews and other evidence to prove/disprove the haunting and to assist the owners and the spirits in moving on and leaving the place if they want that. The assistance can be either you directly assisting the owner with the situation or putting them in contact with experienced groups or individuals that will try to resolve the situation. Your assistance can be something as simple as educating them on what is going on and their options. There are generally two types of spirits you may encounter. One was a human at one time and it has remained on this level for some reason. It may not know it's dead, may be held here by unfinished business, guilt, etc. These spirits are like the person was when they were alive, so they could be good or bad, just like the living, but not normally dangerous. This human spirit is the type you will encounter 95% of the time. You could also witness a residual haunting which is just a playback of a past event. This is just like watching a video from the past playing over and over. The other types of spirit you may encounter were never human and are generally bad news. You must be aware of this type but not obsessed with them, the chances that you will encounter them in a regular ghost hunt are slim. I have experienced both types and I just want to make you aware of their existence. So be aware and protect yourself and you should have no problem. The first type of haunting is exactly like a video playback of a historic or tragic event. This is called a residual haunting. The event unfolds in front of you and there is no interaction between you and the ghosts. They seem to not notice you and go through the motions of the event that occurred in the past. This event has been imprinted on the area or building and is replayed back later when conditions are right. The ghosts that you see in this type are not earthbound spirits; they are just visual playbacks. Since everything is made up of energy, the theory is that some of the energy from an event can be recorded by certain materials and played back when the atmosphere triggers it. Remember that video and audiotape is just oxidized (rust) film that enables the images and sounds to "stick" to it. This type may be frightening when you see it, but you are in no danger so enjoy the experience. The second type of haunting is an interactive spirit that manifests in many ways. You may see a full bodied or partial bodied apparition. More frequently than that, you may here voices, music, footsteps, etc. You may also smell odors which sources cannot be found (i.e. pipe tobacco when no one smokes). You may also see orbs, mists and other light effects. You may feel touches, cold spots, and other light physical contact. This ghost is the spirit of a deceased human being. They may be stuck here (earthbound) for reasons such as tragic sudden death, fear of moving on, guilt or unfinished business. They also could be here visiting loved ones or to warn or pass along a message. These human spirits are the same as they were in life, so they may be good or bad, but not really evil. Think of all the people you know, probably a bit of good and bad, some worse than others. This type can cause some scary situations but you must think about the situation they are in, you don't see them but they see you. They will try to get your attention any way they can. Many times this is the terrifying event people will write to me about like the lights going on and off, items moving, noises, etc. For the most part these are just attention getters and nothing more. There are a few more mischievous human spirits that will do these things to bother you and scare you on purpose. They may just be a prankster or maybe they want you to leave the old home or not to change something in the home. They have all the same motivations you and I would have. These human spirits account for a majority of the haunting we encounter and are relatively harmless. Yes, there are extreme cases and sometimes they can cause dangerous situations, but this is not the norm and is rare. The third type of ghost you may encounter is not a rare one, but is rare that they interact with the living. They are non-human spirits, commonly known as demons and devils. They are mentioned in the bible numerous places in both the old and new testaments. People like Ed and Lorraine Warren have been dealing with this type of spirit for years. This type is dangerous and can cause you harm. I believe that if there is good, there must be a counter balance, evil. These non-human spirits often disguise themselves and friendly and helpful human spirits. They often appear in cases dealing with Ouija boards, black magic and satanic worship. This is why I recommend not trying to contact spirits and doing ghost hunts without some understanding of what's out there. It's also why I recommend you go with or learn from experienced people before hand. That way you can ghost hunt with relative safety from these entities. "I never was not, nor shall I hereafter cease to be." Astronomy is probably the oldest of the natural sciences, dating back to antiquity, with its origins in the religious practices of pre-history: vestiges of these are still found in astrology, a discipline long interwoven with astronomy, and not completely separate from it until about 1750-1800 in the Western World. Early astronomy involved observing and predicting the motions of visible celestial objects, especially stars and planets. An example of this early astronomy might involve a study of the relationships between the "apparent height" of the noon Sun, with respect to the changing patterns of nighttime stars. Eventually astrological charts were drawn up by cultures around the world using the raw, astronomical data collected. Ancient astronomers were able to differentiate between stars and planets; as Stars remain relatively fixed over the centuries, while planets will move an appreciable amount during a comparatively short time. Calendars of the world have usually been set by the Sun and Moon (measuring the day, month and year), and were of importance to agricultural societies, in which the harvest depended on planting at the correct time of year. The most common modern calendar is based on the Roman calendar, which divided the year into twelve months of alternating thirty and thirty-one days apiece. Various Roman emperors altered the calendar subsequently. Julius Caesar instigated calendar reform and created the leap year. There are astronomical references of chronological significance in the Vedas. Some Vedic notices mark the beginning of the year and that of the vernal equinox in Orion; this was the case around 4500 BC. Fire altars, with astronomical basis, have been found in the third millennium cities of India. The texts that describe their designs are conservatively dated to the first millennium BC, but their contents appear to be much older. Yajnavalkya (perhaps 1800 BC) advanced a 95-year cycle to synchronize the motions of the sun and the moon. A text on Vedic astrology that has been dated to 1350 BC, was written by Lagadha. In 500 AD, Aryabhata presented a mathematical system that took the earth to spin on its axis and considered the motions of the planets with respect to the sun. Brahmagupta (598-668) was the head of the astronomical observatory at Ujjain and during his tenure there wrote a text on astronomy, the Brahmasphutasiddhanta in 628. The Maya calculated the solar year to somewhat greater accuracy than the Gregorian calendar. They made detailed tables for calculating phases of the Moon and the movements of Venus for centuries in the past or future. Astronomy and the measurement of time were vitally important components of Mayan religion. Greek philosophers thought of several models to explain the movements of stars, planets, the Sun and the Moon. Eratosthenes, using the angles of shadows created at widely-separated regions, estimated the circumference of the Earth with great accuracy. Hipparchus made a number of important contributions, including the first measurement of precession and the compilation of the first star catalog. Ptolemy later referred to this work in his important Almagest, which had a lasting effect on astronomy up to the Renaissance. Greeks made some important contributions to astronomy, but the progress was mostly stagnant in medieval Europe, while it flourished in the Arab world and priests in distant parishes needed elementary astronomical knowledge for calculating the exact date of the Easter. The Arabic world under Islam had become highly cultured, and many important works of knowledge from ancient Greece were translated into Arabic, used and stored in libraries throughout the area. The late 9th century Islamic astronomer al-Farghani wrote extensively on the motion of celestial bodies. His work was translated into Latin in the 12th century. In the late 10th century, a huge observatory was built near Tehran, Iran, by the astronomer al-Khujandi who observed a series of meridian transits of the Sun, which allowed him to calculate the obliquity of the ecliptic, also known as the tilt of the Earth's axis relative to the Sun. In Persia, Omar Khayyám compiled many tables and performed a reformation of the calendar that was more accurate than the Julian and came close to the Gregorian. An amazing feat was his calculation of the year to be 365.24219858156 days long, which is accurate to the 6th decimal place. Meanwhile in Europe, astronomy was one of the seven core subjects of any studium generale (now known as "Universities"). The model from the Greeks most remembered through the Middle Ages was the geocentric model, in which the Earth was in the center of the Universe, with the Sun, Moon and planets each occupying its own concentric sphere. Stars used the outermost one. Gallileo Gallilei (1564-1642) crafted his own telescope and discovered that our Moon had craters, that Jupiter had moons, that the Sun had spots, and that Venus had phases like our Moon. Galileo claimed these observations were comprehensible only within the Copernican system, in which the planets revolved around the Sun and not the Earth, as was commonly believed then.The renaissance came to astronomy with the work of Copernicus, who proposed a heliocentric system. His work was defended, expanded upon and corrected by the likes of Galileo Galilei and Johannes Kepler. Kepler, using precise naked-eye observations made by Tycho Brahe, discovered the three laws of planetary movement that carry his name (though he published them mixed with some other not-so-correct ideas, and didn't give them the importance that we do). Galileo was among the first to use a telescope to observe the sky, and after constructing a 20x refractor telescope he discovered the 4 moons of Jupiter in 1610. This was the first observation of satelites orbiting another planet. This along with Galileo noting that Venus exhibited a full set of phases was seen as incompatible with the church's favoured model of the Earth at the center of the universe and led to much controversy. Isaac Newton was the first scientist to marry physics with astronomy, discovering that the same force that causes objects to fall on Earth, causes the motion of planets and the moon. Using his Law of gravity, the laws of Kepler are explained, and the heliocentric system gained a sound physical basis, celestial mechanics was invented. Newton also found out that the white light from the sun can be decomposed into its component colors; this fact is crucial for most of the 20th-century research. At the end of the 19th century it was discovered that, when decomposing the light from the sun, multitude of spectral lines were observed (regions where there was less or no light). Experiments with hot gases showed that the same lines could be observed in the spectra of gases, specific lines corresponding to unique elements. It was proved that the chemical elements found in the sun (chiefly hydrogen and helium) were also found on Earth. During the 20th century spectrometry (the study of these lines) advanced, especially because of the advent of quantum physics, that was necessary to understand the observations. Although in previous centuries noted astronomers were exclusively male, at the turn of the 20th century women began to play a role in the great discoveries. In this period prior to modern computers, women at the United States Naval Observatory (USNO), Harvard University, and other astronomy research institutions often served as human "computers," whom performed the tedious calculations while scientists performed research requiring more background knowledge. more women astronomers.) Some of these women received little or no recognition during their lives due to their lower professional standing in the field of astronomy. And although their discoveries are taught in classrooms around the world, few students of astronomy can attribute the works to their authors. Most of our current knowledge was gained during the 20th century. With the help of the use of photography, fainter objects were observed. Our sun was found to be part of a galaxy made by more than 10 billion stars. The existence of other galaxies, one of the matters of the great debate, was settled by Edwin Hubble, who identified the Andromeda nebula as a different galaxy, and many others at large distances and receding, moving away from our galaxy.